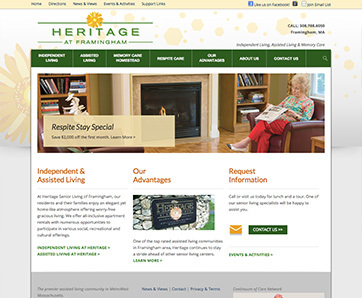 Heritage at Framingham assisted living needed a fresh, updated design to match their new logo and print collateral. 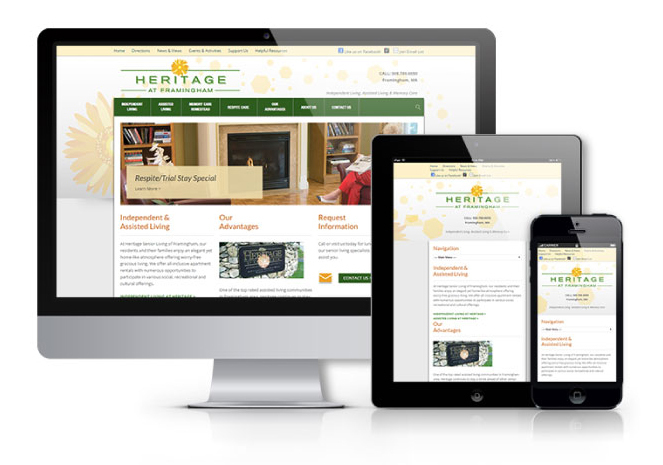 HSS completely redeveloped their website from the ground-up with a unique design and integrated content management system (CMS), which greatly improved both the company brand identity and user experience. The site also uses a responsive layout to provide an optimal experience across a range of devices, from desktop, to tablet and mobile/handheld smartphones. Most importantly, the new site design effectively integrates lead capture forms to drive new business referrals on a continuing basis.